Winners will be chosen weekly from the Rafflecopter below. 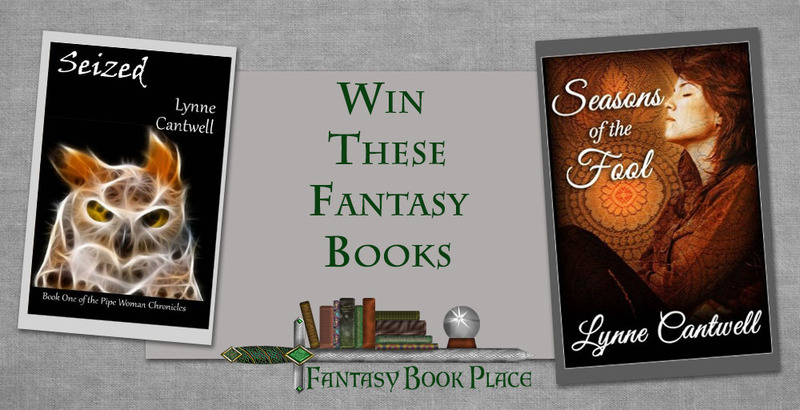 Win a bundle of two print fantasy books from Lynne Cantwell – author of several fantasy books. Seized: Book One of the Pipe Woman Chronicles – Download the eBook for Free! To celebrate the publication of ‘Plaint for Provence’- Book 3 in The Troubadours Quartet author Jean Gill has asked MysteryReads to select 7 winners for a print copy of the first edition of ‘Song at Dawn’, Book 1 in the prize-winning Troubadours Quartet. The winners will be selected using the Rafflecopter entries below. We will be giving away one print book per week for seven weeks – how cool is that? And the eBook version for Song At Dawn is free – see the first entry in the Rafflecopter below! That makes everyone a winner. Plus you can get another free Jean Gill book if you sign-up for her newsletter. Be sure to follow Jean on Facebook, Twitter and visit her website. Watch the trailer then scroll down the page for the Rafflecopter to see all the ways you can enter to win. The first drawing is in 7 days so get started for the most chances to win.